Death surrounds us in Yemen. Since March 2015, airstrikes from the Saudi-led coalition have led to the death of more than 800 civilians in 95 incidents, as documented here. But the ongoing civil war is not the only violence we fear. The United States’ covert drone war in Yemen – at least 15 years old now – continues. The most recent strikes took place on 12 June 2016, killing children, women and innocent Yemenis going about their daily lives. It is unaccountable, ineffective, and counterproductive, and Europe is complicit. It needs to stop and the European Union can help. The European Parliament recently discussed the human rights impact of armed drones in Yemen. This is an important first step towards questioning the precision and understanding the human cost of armed drones in counter-terrorism operations. European countries are indeed directly and indirectly involved in US drone strikes in Yemen and complicit in these extra-judicial killings. British intelligence played a crucial role in the CIA drone program by finding and fixing targets. The US airbases in Germany and Italy are crucial for the program. We call on the European institutions to take a principled stance on the use of armed drones. We also call on these institutions to pressure European member states for more transparency and accountability. They must assume their third-party responsibility in the US drone strikes. Germany and Italy should disclose information about the role of US airbases on their soil. The United Kingdom, Netherlands, Denmark, among others, should disclose the safeguards in place to prevent the intelligence they share with the US being used for these unlawful targeted killings. As for the strategic impact of the drone strikes, the reality shows that these targeted killing tactics were not able to eradicate terrorism or to limit its proliferation. They have even been counterproductive. 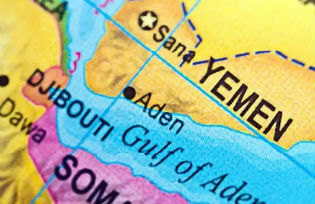 In spite of the drone strikes, Al-Qaeda in Yemen turned from fighters whose operations were limited to sporadic sudden attacks into a standing army of militants fighting systematic wars and controlling large territories. Yemeni locals in regions controlled by Al-Qaeda are stuck between the hell of terrorism and the hellfire of drones. Locals I have met in places where airstrikes occurred and killed civilians are now demanding justice. They consider drone strikes on innocents as an incentive to join Al-Qaeda and fight against the “killer” America. The tribal leader of a targeted village, Mabkhoot bin Saleh al-Obaahah, told me the strike had created terror in the hearts of his people and provoked their anger: they consider these strikes craven operations and some are threatening to take revenge. Europe, especially as a number of states are developing their own drones, can learn from this experience. European states must ensure that their policies on the use of drones guarantee transparency and accountability. They can limit the use of these inhumane weapons and the killing of more innocents elsewhere in the world. The Obama administration released a number of classified documents and civilian casualty statistics related to six years of secret drone operations last Friday. Will European states follow suit? Will they finally disclose information related to their involvement in US drone operations? Are current and soon-to-be drone user states ready to articulate their policies on drone strikes inside and outside armed conflict? The European Parliament should at the very least reiterate their call for a Common European position and for more transparency, oversight, and accountability in the use of armed drones in Yemen and beyond. Yemenis deserve a chance at peace and not the constant fear of death, from the internal conflict or from the skies overhead. While survivors and families of the victims in Yemen mourn their loss and listen to the distant hum of drones, greater transparency would be a first – and crucial – step towards accountability, compensation and redress. Radhya al-Mutawakel is the chairperson of Mwatana Organization for Human Rights, an independent Yemeni organization aiming to defend and protect human rights in Yemen. The organization works on war crimes, arbitrary detentions, enforced disappearance, and freedom of press, in Yemen.